Humare Avaaz – our voice. 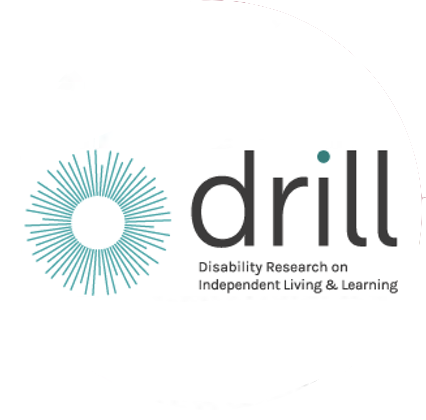 We thought it was a great name for community research into the barriers to independent living faced by disabled women in London’s Asian Communities. And so it has proved to be. However … It’s funny how you underestimate or don’t anticipate things! The Asian People’s Disability Alliance (APDA for short) is a true DDPO. It was founded on the principle of co-production, or whatever it was called 25 years ago. We have an experienced project manager with an academic background and a well-known and experienced lead researcher, an expert in the field. What could go wrong? Well nothing actually went wrong, in fact the reverse, but boy, what a learning curve. Talk about tales of the unexpected. ‘This should all be reasonably straightforward’, said he. The methodology was simple and tried and tested. The implementation plan was elegant and the budget was sufficient. However, none of us had been involved in co-produced community-research in which the co-researchers would be disabled, few have is our understanding. Perhaps we should have seen it coming, financially we had anticipated appropriate support costs but the best laid plans etc. It’s just the way it is. It has proved far more time-consuming than anticipated to arrange training, focus groups and interviews etc. only to have to change plans at the last moment for perfectly good reasons. Oh for the simplicity of quantitative research! But that would achieve very little for Humare Avaaz. We also underestimated the interest our own service users would bring to the initial focus groups, designed to set the agenda. Interest isn’t really the right term; more a release of pent up frustration at not having been listened to for, in some cases, decades. Humare Avaaz really is a great, even emotive, name. A carefully prepared-for first focus group, prepared for in the sense of structuring it around reasonably expected responses – we’ve doing this for a while after all – not in the sense of the antithesis of co-production, was ‘interesting’. Money spent on an iPad and a note-taking app with a synchronised recording facility absolutely saved the day. We naively thought that reasonable meeting protocol would apply! Just as well all present were happy for the groups to be conducted in English! On reflection, why would we assume that that the hitherto voiceless would follow the rules of those easily heard! Such a meeting was a complete novelty. Just when we thought we had sorted out initial teething problems, one of our original partners pulled out – they had lost their core grant funding. This delayed the steering group but was fortunately easily solved with the proactive support of Disability Rights UK. Stay tuned for part two of the blog in the New Year!